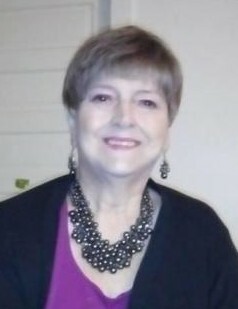 Stephani Victoria “Vicki” Martinez, 66 of Benson, NC, was called to Glory on January 14, 2019. She passed away at Johnston Health Smithfield surrounded by family and friends, after a lengthy battle with ovarian cancer. She was a kind soul, wonderful mother, steadfast intercessor, encourager and consummate warrior. Vicki was a native of Emlenton, PA. She graduated from Allegheny-Clarion Valley High School in 1970 and pursued cosmetology at the Butler Beauty School. After working in that field for many years she furthered her education at Indiana University of Pennsylvania where she received her Bachelor's Degree in Speech Language Pathology in 1997 and a Certificate of Speech Language Pathology Assistance from Fayetteville Technical Community College in NC in 2000. She was an active member of Benson Pentecostal Holiness Church, where she ministered through encouragement, sending cards and giving testimony to God’s great love. Her love for her family and church family was only surpassed by her love of the Lord. She is survived by her daughters Katie Barnes and Mariah Martinez of Benson, NC, Aurora Tobin, her son-in-law Rick and her grandchildren, Lilly and Corin of Jacksonville, NC, and her brothers, Charles Anchors and Jeffrey Anchors of Parker PA and her sister, Cynthia Anchors Lauderbaugh of Aliquippa, PA as well as several nephews. Those who welcomed her into Glory include her mother, Elizabeth Anchors, and father, Harry Anchors and her son-in-law, David Barnes. The family wishes to express deep appreciation to Dr. Anderson and the caring nurses and staff of UNC Oncology and Hematology in Smithfield, and the Benson Pentecostal Holiness Church family for their unwavering support. Her life will be celebrated on Saturday, January 26 at 2 PM at Benson Pentecostal Holiness Church, 8991 NC 27 Highway E, Benson, NC. Officiating will be Rev. Mark Fields. Remembrance celebration will follow.